Hewitt, Kate. A Vicarage Christmas. (The Holley Sisters of Thornthwaite.) n.p. : Tule Publishing, 2017. Anna returns home to the vicarage in Thornthwaite, a Cumbrian village, for Christmas. She avoided coming home for many years, but her mother's insistence along with the promise of an important announcement drew her there. On her first night back in town, she bares her soul to a stranger at a pub whom she later discovers is her father's new curate. The two seem drawn to one another. The book is more or less an introduction to a series featuring Anna and her sisters. It presents spiritual truth about brokenness in a non-preachy manner. While a lot of threads are unresolved, future series installments may address these. I received an electronic copy through Smashwords from the publisher through LibraryThing's Early Reviewer program in exchange for an honest review. Gilbert, Victoria. A Murder for the Books. New York: Crooked Lane Books, 2017. A messy break-up prompted Amy Webber to leave her job at a university library, accepting the position as director of a small town library where her aunt resides. The missing Doris Virts turns up dead in the library's archives. Amy meets dance instructor Richard Muir who purchased the home next to hers. The two begin researching his home's history. A lot of old family skeletons begin to rattle. This first installment felt more like a romance novel than a mystery. Some characters, such as Brad,the lead official investigator, needed more development--and needed to be utilized more in the novel. There were some issues with the plot. For example, a cell phone was confiscated by a "bad person" but in a scene shortly afterwards, the owner was using it once again without an opportunity to get it back. Still the book showed some promise. Those likely to be recurring characters are mostly likeable. One character still has a mystery about him which could become fodder for a future plot. As is the case with most cozy mysteries, readers need to suspend believability for some parts of the narrative. Fun read with a likeable setting. The review is based on an advance electronic copy provided by the publisher through NetGalley in exchange for an honest review. Postgate, Raymond. Somebody at the Door. Scottsdale, Arizona: Poisoned Pen Press, 2017. Henry Grayling's dies in his own home a short time after returning home on the train. Mustard gas caused his death. Some of the man's belongings are found along the road, but the payroll he transported was missing. The vicar provides Inspector Holly with a list of persons aboard the train. As he investigates them, he discovers motives for many of them. The solution may be obvious to the reader carefully paying attention to details; however, others may be left guessing until the revelation.This classic crime will appeal to those who enjoy police procedurals. My remarks are based on advance e-galley provided by the publisher through NetGalley with the expectation of an honest review. Purcell, Mark. The Country House Library. London ; New York: Yale University Press, 2017. A well-researched volume featuring essays tracing the history of English country house libraries. Much of the information on contents of these libraries is derived from estate inventories and published catalogues. One essay discusses its counter-part, the town house library, specifically in the context of those who owned both homes in places such as London as well as in the country. The book was interesting but probably bogs down a bit for the average reader due to its academic nature. The book, however, will interest persons passionate about the history of books and libraries. The book contains a number of illustrations featuring country house libraries and their features. The review is based on an advance review copy received from the publisher through NetGalley with the expectation of an honest review. Hagee, Matt. Your Guide to the Apocalypse: What You Should Know Before the World Comes to an End. Colorado Springs: WaterBrook, 2017. As I browsed the magazines at the store this afternoon, the top line "Sampler Sleuth: Mystery of Missing Letters" caught my attention on the December 2017 issue of Just Cross Stitch. The article discusses omission of letters, dropped stitches, and more. If you are interested in a brief history of samplers, you might wish to pick up an issue while it is still available on newstands. They usually sell remaining issues online. Jennett, Vickie LoPicollo. "Reading Samplers: Not as Easy as A, B, C, 1, 2, 3." 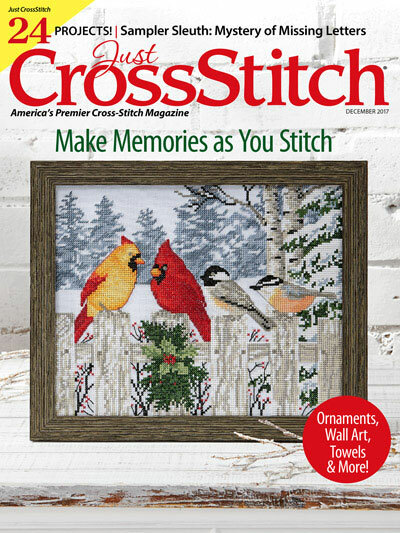 Just Cross Stitch 35, no. 7 (December 2017): 42. Jacobs, A. J. It's All Relative: Adventures Up and Down the World's Family Tree. New York: Simon & Schuster, 2017. Journalist A.J. 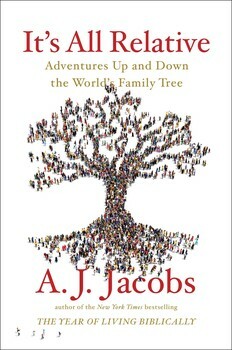 Jacobs immersed himself in the genealogical community for his latest adventure. He embarks on a quest to host the world's largest family reunion which he called "Global Family Reunion." He befriends many genealogists and enlists celebrities to promote the event and perform or speak at it. I was disappointed in the book. It was more about the global family reunion than it was about genealogical research.While occasional references to genealogical research are made, few persons are going to learn to research their ancestry in a correct manner by reading it. The author promotes the one world trees such as Geni.com far too much rather than emphasizing evidence analysis and reasonably exhaustive research. Reliance on these trees often leads to erroneous conclusions which propogate. The author's casual writing style does not work well for me either. The book employs the hidden footnote system which I detest. How is the reader supposed to know something is cited when no indication is made a footnote is available? This is completely unacceptable in a field such as genealogy where evidence is so important. While I'm happy to see a book about genealogical research published by a major publisher, I would have preferred one which encouraged proper methodology rather than emphasizing online trees. Not recommended. I noticed a "shaky leaf" hint on my own entry in my Ancestry tree when I looked today. I wondered about the content of this new record with my personal information. It belonged to Ancestry's "U.S. Public Records Index, Volume 2" collection. I find this collection frustrating because it lacks record dates, a feature that volume 1 generally includes. According to the hint I resided at an address where I never officially lived. My parents moved to that house after I graduated college. In fact my graduate course work neared completion by the time they resided in that home. So how did this collection decide I lived there? I decided either banking or insurance records must be some of the records in the collection. My parents added me to their bank accounts during my college years, and as they aged, they kept me on the accounts so I could take care of emergencies as they traveled the country in their RV or as their needs dictated. Dad purchased life insurance policies on all his children when we were young, and until near his death, the mailings for those policies continued to go to his home with our names on them. For most persons, the addresses in these public records collections are places they've actually resided. However, mine was an exception, and I occasionally note other discrepancies in addresses, particularly in young adult years, where children seem to be with their parents but in another location at the same time. In my case, no record date was given, but since I never lived there, it doesn't matter. For others whose parents did not move, they may truly not be "back home" but still out on their own while addresses for some activities continue to remain at their parents' home. Majors, Katie Davis. Daring to Hope: Finding God's Goodness in the Broken and the Beautiful. Colorado Springs: Multnomah, 2017. Katie tells the story of her call to Uganda where she became mother to a baker's dozen of girls. Her faith sees her through many circumstances including the loss of a neighbor, a boy's surgeries, and more. After an especially trying time in her life, God provided her with a husband who loves God as well. This is not a deep theological discussion but more of an inspirational title which is likely to be enjoyed more by women than by men. Katie's story is one which demonstrates reliance upon God to meet one's needs. This review is based on an advance reader's copy provided by the publisher via NetGalley with the expectation of an honest review. Neighbors, Joy. The Family Tree Cemetery Field Guide: How to Find, Record & Preserve Your Ancestors' Graves. Cincinnati: Family Tree Books, 2017. 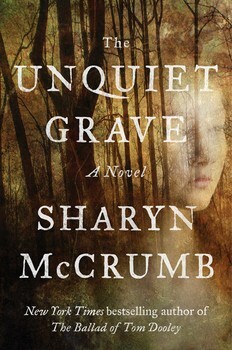 Journalist Joy Neighbors turns her attention to cemeteries for this title. Neighbors provides rudimentary information on abbreviations and symbols often depicted on markers. She discusses the materials from which markers are made. She provides tips to prepare for a graveyard visit and for photographing stones. These tips include cautions about ways genealogists and others tried to make stones more legible in the past and their harmfulness. She included information on Billion Graves and Find A Grave. The book's organization did not work well for me. Some topics seemed to be treated in sections scattered throughout the book. She introduced topics and then said, "We'll talk about that later." It is unfortunate the book went to press when it did instead of waiting just a few more months. She included information on locating cemetery deeds and types of cemeteries as well. The content is already dated due to Find A Grave's web site redesign. She included multiple screenshots which bear little resemblance to what users are now seeing. A note about the pending redesign was included, and she mentioned the "beta" site was now available. It seems screen shots should have been captured from the beta rather than the "old" version. Sentences felt "choppy" to me. At times I felt the author was "talking down" to readers. In an effort to make her content fill more pages, the author added related content such as death certificates, funeral home records, and obituaries. However, she didn't stop there but went on to include a section on basic genealogical research with checklists. This information, while possibly helpful to a beginner, was unnecessary to meet the book's purpose and wastes paper and the consumer's money, since the purchaser pays for those extra pages. She omitted grave markers made from pottery in her discussion of marker types. These are popular in some parts of the South. They tend to break at the base, but they remain quite readable. Many of the checklists and forms in the book are useful to genealogists, but a similar form can usually be found freely available on the internet. While the book is useful to some beginning researchers, most intermediate and experienced researchers would be better served by purchasing Douglas Keister's Stories in Stones or Forever Dixie and picking up information on preservation and other topics via articles in Family Tree Magazine, Your Genealogy Today, or on a blog post. The publisher provided an electronic galley of the book through NetGalley in exchange for an honest review. McCrumb, Sharyn. The Unquiet Grave. New York: Simon & Schuster, 2017. McCrumb fictionalizes the story of the "Greenbrier ghost," a true murder story set in Greenbrier County, West Virginia in which the testimony of a ghost was at least partially responsible for a conviction. The cast of characters is an interesting mix of Appalachian mountain folks, scoundrels, African-Americans not that far removed from slavery, and more. Part of the story is narrated by an African-American lawyer who was second on the defense team. His story is told to one of his doctors at the colored asylum. McCrumb's book tour brought her through my city where I heard her discuss the research done on the book. The book's dedication was to a friend and fellow local genealogist who assisted her in the research. She also spoke about her role and finds that day. I knew most of the plot before I read it, but I still really enjoyed the way the story unraveled. Some people commented it took the story awhile to get going. Since I knew what was to come, that was not a problem for me. This book is the all-conference read for the conference at which I'm speaking later in the week, set in the very county where the book is set. The venue for the conference is at the Greenbrier, referred to as the "White Hotel" in the book. The story is a well-done Appalachian story, blending a real life murder trial with Appalachian life and lore. Fans of historical fiction and Appalachian fiction will find much to like in this story. Andrews, Donna. How the Finch Stole Christmas. New York: Minotaur Books, 2017. It's nearly Christmas in Caerphilly. Michael is directing the production of A Christmas Carol. Scrooge is being portrayed by an almost forgotten actor named Haver who has a drinking problem. In the meantime, Goudian finches are plentiful in the area thanks to a wildlife smuggling ring. Meg finds more finches, a tiger, a puppy mill, other exotic animals, and house full of cats, and a corpse, after following Haver to locate his drink supplier. Haver keeps disappearing so Michael is prepared to fill in, if necessary. Various townspeople, including Meg's grandfather the vet and her father the doctor, get involved in the plot while the police are sorting things out. It's a fun read, but not one of the strongest in the series, which is typical with most holiday reads. Still it provides a pleasant distraction for readers during a busy season when readers need a little escape. I received an advance electronic review copy from the publisher through Netgalley with the expectation of an honest review. Beebe, Katy. Nile Crossing. Illustrated by Sally Wern Comport. Grand Rapids: Eerdmans Books for Young Readers, 2017. 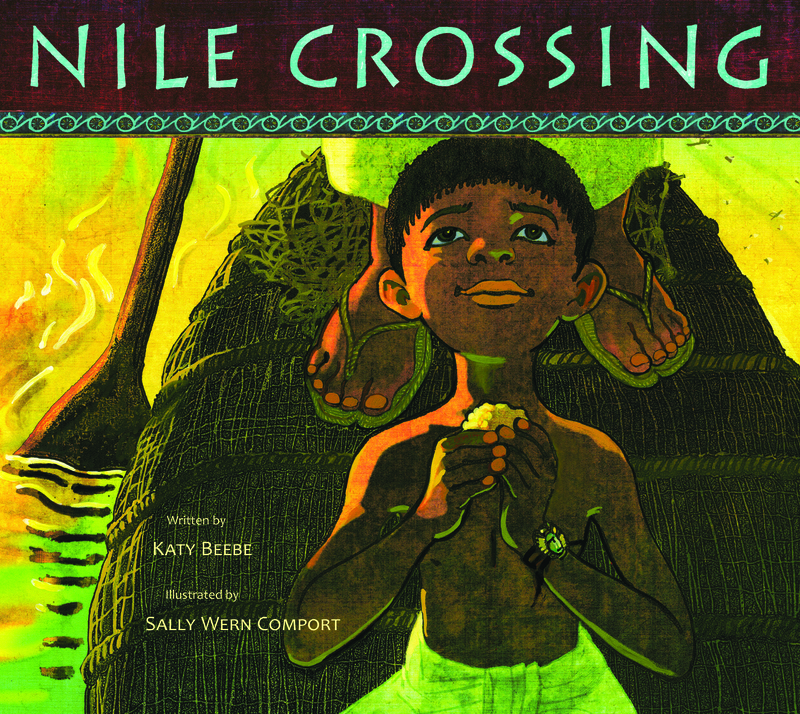 A boy in Ancient Egypt travels with his father on the Nile to attend his first day of school. This interesting book which mentions several of the gods of Ancient Egypt is an interesting addition to a growing collection of children's books published by Eerdmans. The research notes at the end of the book provide further information to help readers (and teachers) with this book rooted in ancient history. The accompanying illustrations are well-done. The glossary will be a helpful addition for younger readers not familiar with many of the terms. I received an advance e-galley of the book for review purposes through NetGalley. Jennings, Matt with Jessica Battilana. Homegrown. Photographs by Huge Galdones. New York: Artisan, a division of Workman, 2017. Chef Matt Jennings, owner of a Boston area restaurant and former owner of one in the Providence area, offers recipes showcasing New England foods with a bit of a twist. The book provides commentary about New England foods as well as Jennings' life and career. The recipes are generally not for those who want things that can be prepared quickly. They tend to be for those who truly savor cooking. Many of the ingredients may be difficult for persons in some parts of the country to locate. The book is beautifully illustrated by the photography of Huge Galdones.This review is based on an advance review copy provided by the publisher through NetGalley with the expectation of an unbiased review. I attended a webinar about forthcoming cookbooks in which the publisher's representative offered to send advance review copies to any attendee through NetGalley or Edelweiss. Lennon, Paula. Murder in Montego Bay. London: Jacaranda Books, 2017. Lennon penned the first in a series featuring Jamaican detective Raythan Preddy assisted by visiting Glasgow (Scotland) detective Sean Harris. Together they solve the murder of a wealthy Ellis family member. The Ellis family includes Chinese ancestors. The case involves narcotics. Readers question why Harris is in Jamaica and never find the answer. The author overuses Jamaican dialect in conversations. While the author accurately describes Jamaica's impoverished and wealthy residents, it is difficult to connect with her characters. While I appreciated the setting, the book is too gritty for my mystery reading tastes. Readers who enjoy grittier books will rate the book higher than I did. The publisher provided an electronic Advance Reader's Copy through NetGalley with the expectation of an unbiased review. Frost, Jacqueline. Twelve Slays of Christmas. (Christmas Tree Farm Mystery, no. 1). New York: Crooked Lane Books, 2017. 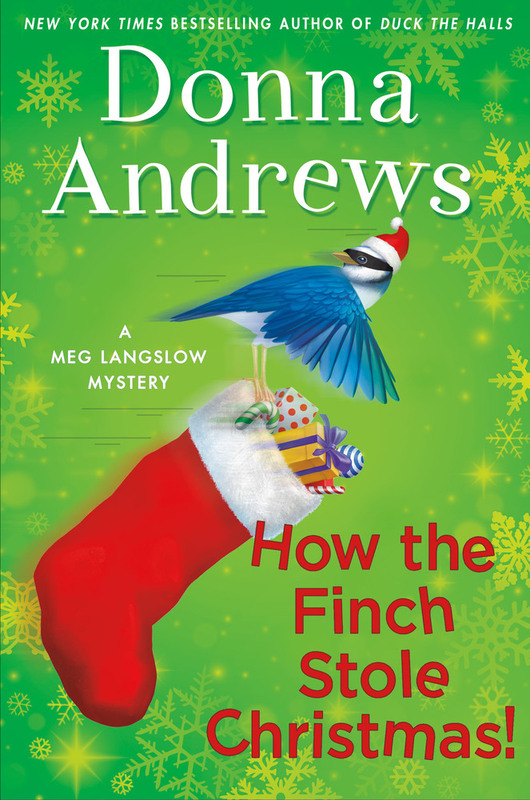 What a fun cozy Christmas mystery! Holly White returns home to Mistletoe, Maine after a failed engagement, just in time for the 12 days of reindeer games hosted on her parents' farm. Unfortunately Margaret Fenwick, head of the local historical society, is killed right on the farm, and Holly discovers the body. Holly can't help but investigate, which brings threats to her and her parents. I really enjoyed this light mystery which includes a spark of romance between Holly and Sheriff Evan Gray, a Boston transplant. I enjoyed many of Holly's friends. This one has a lot of potential as a series, although if murders continue at Christmas each year, I doubt anyone will be wanting to visit the reindeer games. I look forward to the next installment of the series and may try some of the author's "Kitty Couture" mysteries written under the name Julie Chase. I received an advance review e-galley from the publisher through NetGalley with the expectation of an honest review. Brook, Allison. Death Overdue. (Haunted Library Mystery ; 1). New York: Crooked Lane, 2017. Carrie, a floating librarian at a Connecticut public library, decided it was time to move on when opportunity knocked on her door. While her uncle, a member of the library board was partially responsible for the opportunity, library director Sally offers her a permanent position in programs and events. After a brief consideration, she decides to accept the job and begins looking for a home. At the first event, set up by the librarian who moved away, the detective who failed to solve a case years before and suddenly claims to have solved it dies. A cookie unlike any purchased for the event bore the poison. Carrie and the son of the woman murdered years before set out to solve the crime. Carrie soon discovers the ghost of a former library director resides in the library. Only a few people see her. The ghost proves helpful to Carrie on a number of occasions. While I really don't like paranormal elements such as ghosts, this one is beneficent. I think it's a cute Halloween installment, but I'm not sure it will work long-term as a plot device. I fingered the murderer pretty early, but the author crafted several red herrings. I'll probably read the next installment. I received an advance uncorrected e-galley from the publisher through NetGalley with the expectation of an honest review. Monday night my persistence paid off. As I reviewed information on Judd Emerson Leys, my second cousin once removed, I noticed a gap in my records for him. I lacked his 1940 census entry. Huber, Anna Lee. This Side of Murder. New York: Kensington, 2017. Verity Kent goes to an English island with some of her husband Sidney's acquaintances from the war. A letter accusing her late husband of treason caused her to go. She discovers the men are hiding something. A coded message is found in a book that belonged to Sidney. The gardener was a man Verity knew well, and his presence adds an interesting twist to the situation. I tolerated this book. The plot was just too convoluted. It reminded me of locked room mysteries, but it was not as well-written as many of those. I received an electronic advance reader's copy from the publisher through NetGalley with the expectation of an honest review. Roth-Beck, Meike. The Life and Times of Martin Luther. Illustrated by Klaus Ensikat. Grand Rapids, Michigan: Eerdmans Books for Young Readers, 2017. Publishers are issuing many books on Martin Luther as we celebrate the 500th anniversary on the Reformation. Luther nailed his 95 theses to the door of the Wittenburg Church October 31, 1517. The action led to one of the greatest religious movements in history--the Protestant Reformation. Roth-Beck has written an engaging account of Luther's life for younger readers. He explains the religious culture of the time, how Luther came to be a monk, and how his studies led him to question the teachings of the church. The illustrations by Ensikat are well-done. There is a key to the illustrations at the end of the book, explaining each in further detail. While some younger readers would not be able to handle some of the vocabulary terms on their own, the book would make a great read-aloud book for parents to read and discuss with their children. The book will be very useful in Christian schools and home-schools. Even though it is aimed at a younger audience, it would provide a good overview for teens and adults interested in learning about Luther. I received an advance review copy of this title through LibraryThing's Early Reviewer program in exchange for an honest review. McDowell, Marta. The World of Laura Ingalls Wilder: The Frontier Landscapes That Inspired the Little House Books. Portland, Oregon: Timber Press, 2017. 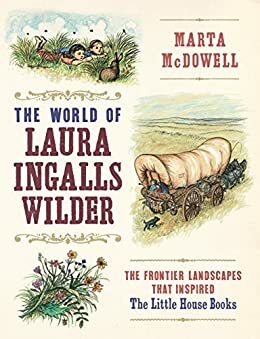 Author Marta McDowell takes readers to each location Laura Ingalls Wilder and her husband Almonzo lived, discussing things present and things omitted from the books. The book shows Laura's connection with the land, demonstrating the importance of agriculture in the era in which she lived. The book designed to celebrate the 150th birthday of the author is well-researched but written at a level most fans will enjoy. Its carefully selected illustrations add to the reading experience for the fan. The book would make a great gift for those reading the books for the first time or for a lifelong Laura Ingalls Wilder enthusiast. This review is based on an advance electronic galley provided by the publisher through NetGalley for review purposes. Perry, Anne. An Echo of Murder: A William Monk Novel. New York: Ballantine, 2017. The murder of a Hungarian man whose shop faces the river brings Monk and his Thames River force to the scene. The crime is horrific--extremely violent, an act of hate--and accompanied by 17 candles, two of which are purple, and the smashing of Roman Catholic icons. A man, aspiring to be the leader of the Hungarian community in London, is first on the scene. His alibi is airtight. The man is very observant. Communicating with the Hungarian population is problematic. Monk and Hester's adopted son "Scuff" is apprenticed to a doctor, coming in contact with Fitz, a doctor who served with Hester in Crimea. As the body count grows, the pressure to locate the perpetrator increases due to the growing unrest of the Hungarian community. I do not read every installment of the Monk series, but I enjoyed this one very much. While any experienced mystery reader will be able to predict some of the action, certain aspects of this installment will keep readers interested. It held my attention--something most books failed to do recently. I received an advance review copy from the publisher through NetGalley with the expectation of an honest review. Gray, Juliana. A Strange Scottish Shore. New York: Berkley Books, 2017. In 1906, the Duke of Olympia and his assistant Emmeline Truelove are called to the Orkney Islands to investigate an artifact purported to be a Selkie skin. Along the way, some important papers are stolen from Miss Truelove on the train. This book failed to draw me in and hold my attention. I found it confusing from almost the beginning. Some parts are simply too unbelievable, and others are missing connections needed to help readers process the action. Perhaps someone who enjoys the fantasy genre more than I do could make the needed stretches. I abandoned the book about 40% of the way into it. I received an electronic galley of the book for review through NetGalley. Light, Alison. 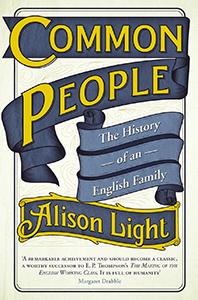 Common People: The History of an English Family. London; New York: Fig Tree, an imprint of Penguin Books, 2014. Historian Alison Light provides an excellent and readable venture into her own family's history, deftly demonstrating how one incorporates social history, local history, religious history, and more, to make ancestors come alive. She provides several very quotable phrases scattered thoughout the volume, certain to resonate with researchers adhering to the genealogical proof standard. My biggest complaint pertains to the "invisible endnotes" system employed by the editors. Readers deserve to know when something is being cited. The acceptable way of doing this is to provide a numbered footnote or endnote. I find the method employed by the editors lacking. In some places the author's aversion to religion manifested itself through condescending remarks. In other places where the opportunity presented itself, she refrained from such comments. This restraint maintained a bias-free environment in those portions of the narrative. Overall the book provided a commendable example in family history writing. Highly recommended. Bellairs, George. Death of a Busybody. Scottsdale, Arizona: Poisoned Pen Press, 2017. Inspector Littlejohn of Scotland Yard is called to assist DC Harriwinkle in the village of Hillary Magna when the village "busybody" Miss Tither is murdered. She displayed a "holier than thou" attitude and aimed to make people repent of their errant ways. Lots of people, as you can imagine, have motives, and a recently changed will provides an interesting twist. Suspicion even falls to the vicarage. Bellairs' carefully crafted plot will cause many to second-guess or change their minds along the way about whodunit. My biggest problem with the book is the naming of charcters. I'm not certain how intentional it was, but I felt the author was finding a way to belittle the church with his names. I'm glad British Library is bringing back these classics, and I thank Poisoned Pen Press for providing an advance readers e-galley for review purposes. I'm reading (and digesting) a book by historian Alison Light focusing on her own family heritage. Yesterday I shared a quote on Facebook from her book. Today I want to share another, but here on the blog. Unless it is to be simply a catalogue of names, the history of a family is impossible to fathom without coming up for air and scanning the wider horizon. Once the branches proliferate, families become neighborhoods and groups, and groups take shape around the work they do and where they find themselves doing it. Without local history to anchor it, family history is adrift in time.--Alison Light, Common People: The History of an English Family (London: Fig Tree, an imprint of Penguin Books, 2014), 31. I want my ancestors to be more than just a name. Local history and social history provide context, breathing life into them. My ancestors interacted with others in their neighborhoods and communities. I need to research them. My ancestors worked. I need to find what they did and the social context for that job. If my ancestor was a farmer, what did he grow? What was the soil like in that region? What did others grow in the area? Did weather impact his yield? That's just a few question I could ask. While my progress in Light's book is not far, she demonstrated the needle-making industry in the area her ancestors resided and compared their business to others in the area engaged in the same industry. She discussed the typical jobs in the needle-making industry. It made her grandmother's family come to life for the reader. Yesterday Blaine Bettinger wrote about the relevance of an article in a 1910 issue of the Record for today's researcher. We need to present our ancestors as they were, not as we wish they were. We need to interpret their lives through the lens of the times rather than modernity. We need to be as proud of our farmers as our community leaders. Terry, John Mark and Robert L. Gallagher. Encountering the History of Missions: From the Early Church to Today. Grand Rapids: Baker Academic, 2017. The authors take a different approach to teaching the history of missions than the traditional approach used by textbooks such as Neill's History of Christian Missions. Instead of a strict chronological approach, they look at movements influencing Christians to reach the world. It thus becomes a more theological and philosophical approach than the traditional manner the subject is taught to undergraduates. The book is better suited to graduate-level courses in the history of missions as it lacks the ability to create interest for persons without a prior one. The use of documents and writings of the persons involved is commendable. The authors' coverage includes effort of the church growth movement of the late 20th century. Questions for discussion and reflection are included, mainly in sidebars, but occasionally in the main text. A lengthy bibliography is included. I received an electronic advance review copy of the book from the publisher through NetGalley for review purposes. Simler, Isabelle. 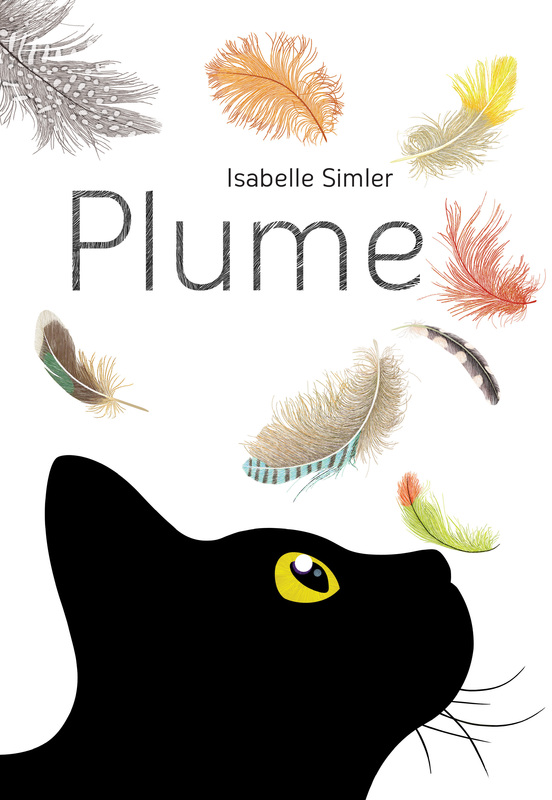 Plume. Grand Rapids: Eerdmans Books for Young Readers, 2017. I love this book! A cute cat is exploring his feathery friends. The artist does a wonderful job capturing just a portion of the cat in each photo while teaching about birds and feathers. It's whimsical and a great book. I received an advance review e-galley for review purposes through NetGalley, but I loved it so much I pre-ordered a copy of the hardback. Penzler, Otto, ed. Bibliomysteries: Stories of Crime in the World of Books and Bookstores. New York: Pegasus, 2017. As with most collections of short stories, some resonated more with me than others. "An Acceptable Sacrifice" by Jeffery Deaver - Mexican drug lord with a weakness for books. Not my thing. "Pronghorns of the Third Reich" by C J Box - A couple of men kidnap a lawyer who won a case involving one of the men and his grandfather. Books play a role, but I don't want to give away the plot. "The Book of Virtue" by Ken Bruen - A lot of short choppy sentences that create a tale a bit too "noir" and full of crude language for me. "The Book of Ghosts" by Reed Farrel Coleman - A story born out of a World War II fabrication of a "Book of Ghosts." "The Final Testament" by Peter Blauner - Sauerwald visits Freud in Britain, discussing Freud's books, a manuscript Freud is writing, and one Sauerwald himself wrote. It gets bogged down in places. "What's In a Name?" by Thomas H. Cook - An old schoolmate visits Altman carrying a manuscript. Book has an interesting twist. "Book Club" by Loren D. Estleman - Guy who collects rare books is murdered. "Death Leaves a Bookmark" by William Link - Excellent mystery featuring Lt. Columbo as detective.This was my personal favorite in the collection. "The Book Thing" by Laura Lippman - What's going on with a series of book thefts in a Baltimore children's bookstore? Tess helps discover what's going on and finds a way to prevent it in the future. I liked this one a lot. "The Scroll" by Anne Perry - Mystery centers on the discovery of a scroll, written in Aramaic, with unusual properties. "It's in the Book" by Mickey Spillane & Max Allan Collins - Mike Hammer is entrusted with a finding book or ledger believed to exist. Spillane is not my typical mystery read, but I liked this one a lot. "The Long Sonata of the Dead" by Andrew Taylor - This is set in the London Library. There's a man having an affair. I'm really not quite sure what to make of this one. It's just weird. "Rides a Stranger" by David Bell - A college professor returns home for his dad's funeral, making a surprising discovery about his father's literary life. "The Caxton Library & Book Depository" by John Connolly - A man witnesses what appears to be a re-enactment of Anna Karenina. Then he witnesses it again. His investigations of the strange matter lead him to the Caxton Library. "The Book Case" by Nelson DeMille - Bookstore owner is killed by a bookcase falling on him. It appears an accident to most, but the detective discovers wedges holding the case in place were removed. He interviewed suspects and solved the case. My favorite stories were not those written by the authors I typically read and enjoy. Readers may discover they wish to give a chance to a "new to them" author or to one who may be a better writer now than in earlier days. I received an electronic advance review copy through NetGalley with the expectation of an honest review. Davis, Fiona. The Address. New York: Dutton, 2017. An architect selects a girl working in a London hotel who saved his daughter from a deadly fall to manage the Dakota, a residential building, opening in New York. Although it seems in the middle of nowhere, development is headed that way. Fast forward almost 100 years. A newly rehabilitated girl is given the opportunity to renovate the family apartment at the Dakota. She's a descendant of the architect although her cousin received the inheritance. While the story line held promise, the author failed to weave the story in an engaging manner. For me, starting with the modern piece and then going back in time would have been preferable to chopping the story up. The revelation of what she discovered could have occurred in the end or it could have been revealed. I would have kept reading. As written, I struggled to plod through it. The writer used passive tense too much. The book's editor failed to correct the problem. I received an advance electronic copy of the book from the publisher through NetGalley with the expectation of an honest review. Edwards, Martin. The Story of Classic Crime in 100 Books. Scottsdale, Arizona: Poisoned Pen Press, 2017. Don't let the title mislead you. The book discusses far more than 100 mysteries. It does, however, provide a little more depth of coverage on about 100 titles. The book is intended as a companion volume to the British Library Crime Classics series. It arranges the mysteries into categories by the types of mysteries they are. (For example, locked room, vacation spots, manor houses, etc.) Mystery lovers are certain to find a few books they missed through the years to add to their to-be-read lists. Fortunately the British Library Crime Classics series is making many of these readily available for a new generation of readers to discover. I received an advance electronic galley of the title from the publisher through NetGalley for review purposes. I stopped at a farmer's market in northern Georgia near the North Carolina border on my way home from Institute for Genealogical and Historical Research (IGHR) yesterday. I purchased corn, red potatoes, white potatoes, sweet potatoes, peaches, tomatoes, a Vidalia onion, okra, and purple hull peas. I shelled the peas this afternoon. It evoked memories of sitting under the shade trees at my dad's Aunt Fannie Mae's or in my paternal grandparents' living room with paper bags for the hulls and large bowls in laps which held the peas. Everyone shelled peas as we conversed. Our fingers and nails turned purple. I did not enjoy doing this as a child, but as an adult, I appreciate the activity's relaxation. The sweaty work of tending the peas and picking them in the hot sun was done. Shelling them in the company of family and friends was a pleasure at the end of the hard work. As I picked over the peas, in the same manner my mother taught me, it brought back memories of standing over the kitchen sink--sifting through them while looking for peas with worm holes or other defects which made them undesirable for eating. Mom taught me the difference in worm holes and discolorations so I would not toss more peas than necessary. We sorted each mess at least three times. How I'd love to do this with her once again! I look forward to eating the fruit of my labor, even if I didn't grow them myself! Tomorrow's menu will include the peas, hand-breaded fried okra, sliced tomatoes, and cornbread. I'll cut a little onion into the peas. Dessert will include peaches--perhaps a cobbler or peaches and (ice) cream. I'll probably add some pan-fried potatoes if leftovers remain. Southerners eat well when the summer harvest comes! Maddix, Mark A. and James Riley Estep, Jr. Practicing Christian Education: An Introduction for Ministry. Grand Rapids: Baker Academic, 2017. Books designed specifically for Christian educators are not as plentiful as they once were, particularly when it comes to introductions. This introduction is really more of a theories approach than an overview as many others are. The authors correctly state Christian educators must be students of both theology and the social sciences; however, their book tends to rely more heavily on the social sciences than on theology. The authors illustrated the ignorance of today's generation in Biblical knowledge, yet their approach still relies more heavily on application of Biblical truths than on imparting the truths to them. The authors never really delved into the methodologies to be used in Christian education. It is my observation that in our attempt to make Christian education "less boring" for students, we created learning experiences more memorable for the activity than for the truth it sought to impart. While I don't advocate a return to reading a lesson and answering questions based upon it, I do believe we need to focus more on teaching the Bible and creating informed students who hide the Word of God in their hearts, particularly as we see increasing intolerance for Biblical worldviews in our society. We need to address the problem of Biblical illiteracy in the church. Opportunities for service need to exist, but we need to make sure we are equipping those who are charged with making disciples. This review is based on an advance review copy provided by the publisher through NetGalley for review purposes. I should also disclose one of the authors is a friend of mine from years ago. Speed, John. Britain's Tudor Maps County by County. Introduction by Nigel Nicolson. County Commentaries by Alasdair Hawkyard. London: Batsford, published in association with the British Library, 2016. I love maps! This gorgeously illustrated book of county maps produced by John Speed in the Tudor period provides today's researchers a great tool for understanding our British ancestors who lived then. Each county map is accompanied by a commentary written by Alasair Hawkyard, providing insight into the county's history and the people who resided there. Many maps include offset maps depicting specific places, much as modern-day atlases include maps of larger cities. It's a large over-sized "coffee table" book, but it is so full of useful content for genealogists and historians dealing with the period and place. Tree image used courtesy of ClipArt Panda. Private trees generate much discussion in the genealogical community, particularly when it comes to DNA. Those with private trees provide a number of reasons for making their trees unavailable to others--adoptions and non-paternal events, work in progress, plagiarism or unauthorized use of their data and images in books or publications by others, the way they use their tree (such as to sort out multiple persons with the same name), and an admission of the tree's messiness. I agree with the right to keep one's tree private, but I also believe many with private trees who took or manage DNA tests could benefit from a stripped-down public tree which would provide useful information for their matches. I used this option when I realized I wanted to use Ancestry to review of older genealogical data and expand my tree. My main tree is private. I plan to make it public at some point, but not until I am far enough back in my review to make it useful. 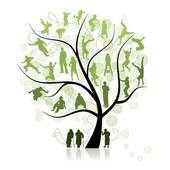 Adoptees and persons with non-paternal events have valid reasons for keeping their trees private. It is absolutely the right thing to do when the situation demands privacy because of sensitive information regarding living individuals which might be revealed because their identity might be deduced through those who are no longer living. All trees are a work in progress. If you are uncertain about a conclusion, find a work-around. Add notes and comments. I often do this in one of the viewable options such as the birth field. For instance, I might want to include a note to let others know the parents of an ancestor is a built case rather than one relying on documentation. Although no evidence located to date overturns the conclusion, it is a case which needs to be reviewed in light of DNA evidence. It is a conclusion I feel needs to be strengthened. A note in the birth field for the ancestor and a note somewhere on his parents' individual pages asking other descendants to contact me might actually be helpful. Many persons are concerned with other individuals copying their work or using their images in books, blog posts, and other works. The typical reply to those persons is, "If you do not want your work or images used by others, do not post it online." For those of us who began our genealogical quest before the days of the Internet, we remember this was a concern even in the days of print media. Some persons who sent information to cousins always found "their work" showing up in other publications, usually without attribution. It even happened to me a few times. In the digital age, it is easier to do. If we make information available online, other people will look at it, and use it. Some will cite it; others will not. Is making the tree private the solution? I personally do not think so. I grew more discerning when others requested information. I simply did not offer to send "everything" to individuals. I asked what information they were seeking, offering an answer to their specific need. I might be able to help them through a brick wall so they could continue their own research. In fact, I sometimes asked them if they had looked at a specific set of records where I uncovered the answer rather than giving it to them. To me, the Ancestry default view is a presentation of facts. Facts must be documented and correlated. It is difficult to steal facts. Adding images from personal collections is completely optional. If a person posts these and makes the images publicly available, other people can and will benefit. I suspect all of us use scanned images of records others provided on their trees, particularly when a visit to a particular repository would be required to obtain them. Most of us just attach them to our own trees without downloading them since Ancestry offers the option, but some people download them. When downloading, it is good practice to add a citation to the image in your photo-editing software so you know the provenance of the image. If you are still concerned with plagiarim or with others using your work, utilize the private option, but also create a stripped-down public version of the the tree. I often run across trees where identities of two or more persons with the same name are merged into one individual. In this morning's discussion, one person admitted to placing information on seven men of the same name and approximate same name in the same location in one individual to sort it out. While I think better tools for sorting exist, some researchers feel this works for them. I usually use Excel spreadsheets or Word tables, which are color-coded as I assign information to one of the individuals. The old-fashioned note card method also works. Why not have a second public tree which contains only proven information on direct lines? If your tree is messy, would it be easier to begin a second tree containing only proven information and document it as you go rather than trying to sort through the mess? Would a third tree containing only proven direct line ancestors with stripped-down information help you and your DNA matches in the meantime? I mentioned a stripped-down public version of a tree in several places. This tree needs to contain the full name of the person along with any nicknames. (For example, Salome Olive "Ollie" Lantz.) It also needs to include birth/marriage/death dates and locations. Sometimes geography is the key to locating the match or the line from which the match is likely to come. My stripped down tree only contains direct-line ancestors. I do, however, build out the tree to other relatives who tested so I can get by with only a single tree. I even build their direct lines back a few generations. You have a right to keep your tree private, but please consider offering a stripped-down public version of your tree for DNA matching purposes. Can Potential Members Locate Your Historical or Genealogical Society? Several months after sending a mailing to historical and genealogical societies in the state of Tennessee to make sure they knew about the then upcoming National Genealogical Society Conference in Raleigh, I continue to receive some back which were undeliverable. I tried to locate current information on each society through their web sites. If I was unable to locate it, I used the address we had on file from the 2009 conference. Each packet included a copy of the 16-page brochure as well as a letter from me, a fellow Tennessee genealogist. While I did not make an official calculation, based on the number returned to me and the approximate number I sent, about ten percent were returned. Many societies are in a "dying state." Could it be because they are not reaching potential members? In the 21st century, an online presence is essential. Some societies lack one. In many cases, web sites look abandoned. If your site's design is from the 1990s or early 2000s, people question whether it still exists. Setting the "last updated" code to read the current date does not fool those who stumble upon your site. Many apparently up-to-date sites lack a means of contacting the society. Your society's web site should include both an email address or contact form and a current "snail mail" address. If your society has a dedicated facility, be sure to include a phone number as well. Your web presence can attract new members. Describe the benefits of joining the society. List the benefits of membership--your newsletter or journal (and its frequency), publication discounts, discounts to workshops, a library for members, etc. Include information on categories of membership (individual, family, life, etc.) and the current price of each of these. Some societies offer PDF forms which may be printed and mailed or options to purchase memberships online using PayPal. Offer a sample newsletter or journal to site visitors. I located a few societies relying only on a Facebook presence. They are missing a chance to reach many potential members who do not use social media. If your society does use social media such as Facebook, Twitter, Instagram, or Pinterest, be sure to include information on your web site so people know how to follow you. If your society sells books or back issues, make sure to have an up-to-date page providing information on the publications along with costs (including shipping and tax, if applicable) so libraries and individuals know of their availability. Some societies offer PDF order forms to mail back and/or the ability to order using PayPal. Make sure your web site is not contributing to your society's demise. 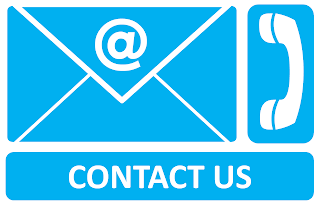 Provide and keep contact information updated. McDermott, Gerald R. Israel Matters: Why Christians Must Think Differently about the People and the Land. Grand Rapids: Brazos, 2017. Author McDermott shares why he changed his thinking on Israel in relation to Biblical prophecy. He offers reasons why Christians should care about what happens to the nation of Israel and attempts to dispel the error of replacement theology. He also discusses the land occupied by the Jews and offers reasons it belongs to them. While McDermott does a fairly good job, I find myself wishing my pastor would write a book on the topic because he does a far better job of explaining the Jewishness of the Gospels and discussing Israel in relation to prophecy. I received an electonic advance review copy of the title from the publisher through NetGalley for review purposes. Gerson, Fany. Mexican Ice Cream: Beloved Recipes and Stories. California: Ten Speed Press, 2017. This is an amazing collection of recipes for sorbets and ice creams from different regions of Mexico. The author spends time discussing traditions, the regions, and the ingredients. It includes traditional recipes as well as some more modern takes on the favorite dessert of summer. While I'm not likely to make the ice cream that featured grasshoppers as an ingredient, it was interesting. The author includes a recipe for sugar cones as well as for several toppings. The recipes do require an ice cream churn/freezer. I received an electronic copy of an e-galley for review purposes from the publisher through NetGalley. However, I liked this book so much I'm certain I'll be ordering my own copy before summer. Coblentz, Catherine Cate. The Blue Cat of Castle Town. 1947, reprint. Mineola, New York: Dover Publications, 2017. Note: The reprint is scheduled for release on July 19, 2017. Because older editions may be available in libraries, I decided to release the review ahead of that date. How did I miss this book when I was younger? Today's readers can thank Dover Publications for bringing this Newbery Honor book back into print. It's the story of a blue cat who must teach his song to others to find his place on a hearth. His song is the song of the river. He wanders around Castle Town, Vermont where he witnesses village life. It's from a simpler time and place. It's a place where spinning wheels and weaving still exist. It's a place where the local carpenter still feels the need to do his best work on the pulpit in the Lord's house, even if it means losing his $1.50 in daily wages or using some of his savings even with a baby on the way. This book gave me a sense of that time and place, and I loved it. The illustrations by Janice Holland were well-done. I received an electronic advance review copy of this title from the publisher through NetGalley for review purposes. Special note for genealogists: I think you'll enjoy this one. It does provide that census of place and connectedness we love. Yesterday I came across a post on Facebook that was headlined "50 Titles Considered Essential to Your Personal Library." It was linked to an article entitled "Build the Perfect At-Home Library." I knew the post would mostly include great works of literature with a few non-fiction works thrown into the mix. I pondered what would be included if this were a genealogical library. I realized immediately that each genealogist would come up with a different list because of research specialties or where ancestors lived. What follows is a list of fifty that works for my own research interests. I invite others to come up with their own list of fifty. 3) Genealogy Standards by Board for Certification of Genealogists. 4) Mastering Genealogical Proof by Thomas W. Jones. 5) Genealogical Proof Standard: Building a Solid Case by Christine Rose. 7) Professional Genealogy: A Manual for Researchers, Writers, Editors, Lecturers, and Librarians edited by Elizabeth Shown Mills. 10) The Family Tree Guide to DNA Testing and Genetic Genealogy by Blaine T. Bettinger. 11) Genetic Genealogy in Practice by Blaine T. Bettinger and Debbie Parker Wayne. 12) Numbering Your Genealogy: Basic Systems, Complex Families, and International Kin by Joan Ferris Curran, Madilyn Coen Crane, and John H. Wray. 13) Land & Property Research in the United States by E. Wade Hone. 14) The Source: A Guidebook of American Genealogy by Ancestry.com. 15) The Handybook for Genealogists by George B. Everton. 17) Map Guide to the U.S. Federal Censuses by William Thorndale and William Dollarhide. 18) The Formation of North Carolina Counties, 1663-1943 by David Leroy Corbitt. 19) The Genealogist's Guide to Researching Tax Records by Carol Cook Darrow. 20) Understanding and Using Baptismal Records by John T. Humphrey. 21) They Came in Ships: A Guide to Finding Your Immigrant Ancestor's Arrival Record by John Philip Colletta. 22) Inheritance in Colonial Virginia by Barbara Vines Little. 24) North Carolina Wills: A Testator Index by Thornton W. Mitchell. 25) Courthouse Research for Family Historians: Your Guide to Genealogical Treasures by Christine Rose. 26) Military Pension Laws, 1776-1858: From the Journals of the Continental Congress and the United States Statutes-at-Large by Christine Rose. 27) Military Bounty Land, 1776-1855 by Christine Rose. 28) History for Genealogists: Using Chronological Time Lines to Find and Understand Your Ancestor by Judy Jacobson. 29) Pitfalls in Genealogical Research by Milton Rubincam. 30) Virginia Genealogy: Sources & Resources by Carol McGinnis. 31) Tracing Your Alabama Past by Robert Scott Davis. 32) Locating Your Roots: Discover Your Ancestors Using Land Records by Patricia Law Hatcher. 33) Georgia Research: A Handbook for Genealogists, Historians, Archivists, Lawyers, Librarians, and Other Researchers by Robert Scott Davis. 34) Genealogy and the Law: A Guide to Legal Sources for the Family Historian by Kay Haviland Freilich and William B. Freilich. 36) Revolutionary War Bounty Land Grants: Awarded by State Governments by Lloyd DeWitt Bockstruck. 37) American Settlers and Migrations: A Primer for Genealogists and Family Historians by Lloyd DeWitt Bockstruck. 38) Guide to County Records and Genealogical Resources in Tennessee by Richard Carlton Fulcher. 39) North Carolina Taxpayers, 1701-1786 by Clarence E. Ratcliff. 40) North Carolina Taxpapers, 1679-1790 by Clarence E. Ratcliff. 42) Researching African American Genealogy in Alabama: A Resource Guide by Frazine K. Taylor. 43) Genealogical Research in Ohio by Kip Sperry. 44) Estate Inventories: How to Use Them by Kenneth L. Smith. 45) Tracing Your Irish Ancestors: The Complete Guide by John Grenham. 46) Guide to County Records in the North Carolina State Archives. 48) American Naturalization Records, 1790-1990: What They Are and How to Use Them by John J. Newman. 49) New England Court Records: A Research Guide for Genealogists and Historians by Diane Rapaport. 50) Genealogist's Handbook for New England Research by Michael J. LeClerc. Many of the next fifty slots would go to National Genealogical Society's Research in the States series. A few of them could easily have been included in this list, but I opted to include none without including the others I frequently use. I also find DeLorme's Atlas & Gazetteer series for individual states quite useful. I use my Mississippi, North Carolina, and Tennessee ones frequently. I'm certain I left out something I should have included. It is not necessarily in order of importance. It's just my feeble effort to come up with a top 50 list when there are so many great resources out there from which to choose. Young, Terence. Heading Out: A History of American Camping. Ithaca, New York: Cornell University Press, 2017. Terence Young looks at the phenomenon of camping in America, tracing its evolution over the years. He discusses problems the national parks had with campers and how that led to individual campsites. He also discusses how camping evolved from fairly primitve conditions to RVs. Young's work focuses mainly on camping within the national park and forest systems. The book needed to spend time discussing privately-owned campgrounds, including those with memberships, and chains, such as KOA, or affiliation of privately owned campgrounds with networks such as Good Sam. In spite of this one weakness, it was a very interesting and informative read. I've been reading quite a bit about the formation of Great Smoky Mountain National Park in preparation for an upcoming lecture I'm giving. I was delighted to see the author included some information regarding the way land was acquired for it and Shenanadoah National Park to give the system an Eastern United States presence, although it wasn't new information for me. This review is based on an advance reader's e-galley provided by the publisher through NetGalley in exchange for an honest review. Fronczak, Paul Joseph with Alex Tresniowski. 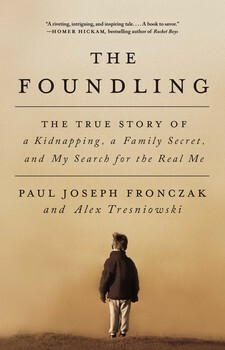 The Foundling: The True Story of a Kidnapping, a Faily Secret, and My Search for the Real Me. New York: Howard Books, 2017. This is a fascinating story, solved in part by DNA. Paul Fronczak was kidnapped in a Chicago hospital shortly after his birth by a one pretending to be a nurse. About two years later, a child was left in front of a McCrory's store in Atlantic City, New Jersey. Police wondered if it might be Fronczak. He was put in a home with a family who often cared for children in such circumstance. The family formed a special bond with the child, but he was ultimately destined to live as Paul Fronczak. Years later, Paul wanted to determine if he was the Fronczak child, and if not, who he was -- and what happened to the real Paul. DNA tests confirmed his suspicions he wasn't the real Paul, but that's just the beginning of the story. It's an interesting, although sometimes repetitive story, which could have used better editing. "Paul" needed a better balance between his own family life and his quest for his identity. I think he probably tries too hard to convince himself it was "in his genes" instead of owning up to his familial responsibilites. Still, it is a captivating story of abandonment, but I would be remiss if I didn't warn people parts of the story are not pretty. "Paul" was fortunate to have a team of genetic genealogists and DNA testing companies assisting in the search for his identity. It's not something most adoptees will have as they approach their quest. Still "Search Angels" and "DNA Detectives" are out there to help many adoptees uncover their true identities. It is unfortunate a list of resources was not included at the end of the book to help persons who might wish to pursue it. Bailey, Linda. Carson Crosses Canada. Illustrated by Kass Reich. Toronto: Tundra Books, 2017. Carson, the dog, crosses Canada with his owner Annie Magruder to visit her sister who is sick. They begin along the Pacific. They cross the Canadian Rockies, visit Lake Winnipeg and Niagara Falls, stop in Quebec where Carson learns he is a "chien", and then cross to Nova Scotia, eventually taking a ferry to their destination in Prince Edward Island. At the end a "surprise" is awaiting him. I don't want to give the surprise away, but I will say Carson loved it. It's a book I can imagine preschoolers wanting to revisit often. I received an advance electronic copy of the book from the publisher via NetGalley for review purposes. Mills, Elizabeth Shown and Ruth Brossette Lennon. Tips & Quips for the Family Historian. Baltimore: Genealogical Publishing Company, 2017. Elizabeth Shown Mills and her granddaughter Ruthie teamed up to provide genealogists everywhere with a book of quotations pertinent to the field. The quotes are attributed not only to genealogists, but also to authors, entertainers, historians, and other persons, even fictitious characters, such as "Frasier Crane." The book will be an asset for genealogists and genealogical speakers for years to come. While the quotation categories are too numerous to include, the quotes are wide-ranging--from accuracy to writing--including such categories as document analysis, family trees, genetic genealogy, maps & mapping, plagiarism, and standards. Some quotes were included more than once under different relevant topics. Each attributable quotation is cited in the endnotes. An index of persons quoted is included. Keywords to locate relevant quotation sections are also provided. It fills a void in genealogical reference. Its creation by a granddaughter-grandmother team, particularly when the grandmother is one of the world's most respected genealogists, is a bonus for genealogists. Chevalier, New Boy. (Hogarth Shakespeare.) New York: Penguin, 2017. This is the most disappointing installment of the Hogarth Shakespeare series I've read to date. The author reimagines the setting of Othello as a sixth grade classroom in 1970s Washington, DC. Osei is a new kid from Ghana who makes friends with Dee. Ian is the class bully. Other children, the teachers, and a principal all carry on the other parts. The handkerchief of the original play is now a pencil case. The re-imagining did not work for me. I felt I was reading a book marketed for middle schoolers. I felt the sixth graders of the 1970s were a little more like modern sixth graders than ones of that era. This retelling does not make me want to grab any of the author's other works. This review is based on an advance review copy received through NetGalley in exchange for an honest review. Hoock, Holger, Scars of Independence: America's Violent Birth. New York: Crown, 2017. Hoock's main purpose is to show the Revolutionary War for the violent war it was. He feels most histories sugar-coat the war. He does a good job showing conflicts between Patriots and Loyalists. His descriptions of the persecution faced is often graphic. He also discusses why many Loyalists chose not to return after the war. The author does a good job with documenting his work. It's a bit too academic in tone and too gory to really be as readable as some histories of the war. Academics and military history enthusiasts are likely to find it far more enjoyable than I did. This review is based on an electronic advance review copy received by the publisher through NetGalley for review purposes. Nam, Jeong-hee. Lion, King, and Coin. Illustrated by Lucia Sforza. Grand Rapids: Eerdmans Books for Young Readers, 2017. This is an informative children's book about how we came to have money. It discusses bartering, exchanging goods, and the difficulty of finding someone who actually wanted what you had to trade before currency. It talks about some of the precursors to coinage. The illustrations seem to fit the period of history being discussed. Larkey, Sue Spertus. 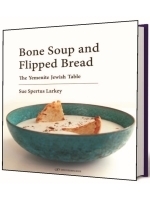 Bone Soup and Flipped Bread: The Yemenite Jewish Table. Jerusalem: Gefen Publishing House, 2017. The author gives readers insights into both the cultures of Yemen and of the Jewish people in this volume. A great deal of cultural and background material is woven into the book -- from the introductory chapters which are almost entirely cultural to the recipes grouped in two sections. She shows the reader the importance of food to the Yemen Jews in normal things in the life cycle -- birth, circumcision, Bar/Bas Mitzvah, betrothal, marriage, days of blessing, and mourning. She also shows the importance of good in the feasts and holidays and on the Sabbath by the Jews. This is a winning combination for anyone interested in more than just a recipe book. The cultural foodways shine in this volume. I received an electronic advance review copy of this book from the publisher in exchange for a fair and honest review. Strawn, Brent A. The Old Testament Is Dying: A Diagnosis and Recommended Treatment. Grand Rapids: Baker Academic, 2017. Strawn creates an analogy of the Old Testament being a language which he carries throughout the book. The only problem is the analogy is a flawed one. He makes many of his points with illustrations from linguistics. He uses data from studies showing less biblical knowledge. In spite of the author's deep research, I'm not convinced he made his point in a convincing manner. I'm not certain his solution is practical. The Old Testament is alive and well at our church because our pastor uses it to deepen our understanding of God in all three persons. There are riches and treasures in its pages, and Strawn tries to become too philosophical about the problem when the truth of the matter is that studying the Old Testament is the only solution for what he sees as the process of dying. Pastors and Sunday School teachers need to teach the Word of God -- and all of it. Too many churches got away from using curriculum that takes readers through the entire Bible within a certain amount of time and began using topical studies. Don't get me wrong. There is a time and place for topical studies, but church members need exegesis too. I receivved an advance review copy of this book from the publisher through NetGalley in exchange for an honest review. When I first began researching my family history, I knew very little about researching beyond my own family. I was fortunate to live in a city housing one of the country's best genealogical libraries at the time. I grew up in the South and just assumed I came from a deep line of Southerners. Imagine my surprise when I found a census record with my maternal grandfather in it which identified his place of birth as Illinois. I then began to get the family stories. I was intrigued by my connection to New England and New York. I began to communicate with other researchers via the various mailing lists and message boards that began to crop up. One person answered my query about Stephen, Stephen, and Isaac. He was descended from Isaac's son Cornelius and had been researching the line for many years. Cornelius and Stephen had a sister Debora who married Edmund Rathbone, Lovica's brother. My newly found cousin told me about the Taylors and Rathbones ownership of a mill in Ohio County, Virginia. (See the Find a Grave story about Private Edmund Rathbone.) This cousin was never one to share everything he knew. I think he wanted to see if you reached the same conclusion he did. However, he provided hints. Where was Isaac in 1790? My newly found cousin had researched all of the options and was leaning toward Isaac being the one in Luzerne County, Pennsylvania that year. He later concluded that was the case. He never provided a proof argument to me for this. It doesn't really go all that well with Stephen Jr.'s alleged birthplace in New York State. My distant cousin Edgar Rives Taylor, Jr. died January 31 of this year. His son Gary contacted me earlier this week with the sad news as he was going through his father's email correspondence. When I resume work on the Taylor line, I need to go through my correspondence to pick up any clues or hints provided over the years. The proof argument will be my own, based on my own research, when I am able to clearly identify my ancestor. I will, however, miss Edgar's knowledge and the ability to ask him if he found anything that would negate a conclusion I make. His son Gary posted a lovely tribute to his father which includes part of his father's autobiography. Venema, Dennis R. and Scot McKnight. Adam and the Genome: Reading Scripture after Genetic Science. Grand Rapids: Brazos Press, 2017. My hopes for this book exceeded what was presented. I expected more from genetic science than the very basic information presented. I supposed the authors think Christians know nothing about genetics, because that is how they treated the matter. The book is really more about how we should view Genesis 1-11 in view of modern science. Findings of the human genome project are taken into account in the author's argument of a theistic evolutionary approach. The writers incorporate too much from apocryphal works for their conclusions to be accepted by many Evangelicals. They spend a lot of time discussing the literary Adam, the historical Adam, and the genealogical Adam. Ultimately they were not very convincing in their arguments. While I received an Advance Review Copy from the publisher through NetGalley, I forgot I had pre-ordered a copy. I compared both and am basing the review on the completed copy.